The days are slipping by now. Soon Shannon’s Law will be out there. I’m flat out at the moment putting the final touches to Cop’s Kitchen. All this time in front of the computer screen means the need to diet. Working on a cook book when you’re hungry is a most singular torture. The tour today has taken me to readingintwilight .It’s a cool site featuring some great books. 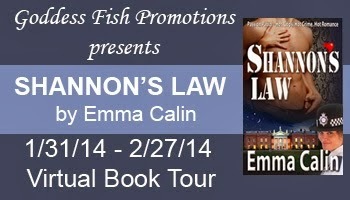 This entry was posted in Book Launch Blog Tour, Cop's Kitchen, Goddess Fish Promotions, readingingintwilight, Shannon's Law by emmacalin. Bookmark the permalink.